We provide project management services to help individuals and homeowners who are undertaking restorations, renovations, large extensions or new house building projects to offer a one-stop service to completely manage the works from start to finish. Alternatively we can also help supplement your existing knowledge by providing assistance at any key stage along the way. Where Clients have engaged a builder but are not able to keep a close eye on their project, either through lack of time or due to being based away from their project (eg overseas), we are also able to offer a monitoring service to advise and report on a builder's progress and costs from a Client perspective. Experience of projects of every scope and scale, we understand no two projects are the same. The collective experience of our professional teams enables us to operate according to the brief and the site. Full design and build projects undertaken or constructed according to pre-determined plans and specifications. Working closely with our clients and teams of consultants, we ensure everything goes smoothly and to deliver what we said we would on time and on budget. Appointing one main contractor on a design and build project enables a closer working relationship. Our experience enables us to take overall responsibility for the project delivery and to manage the complete end-to-end process. 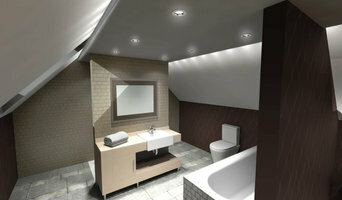 Our established planning and design process enables us to provide the best possible turn-key solutions to our clients. We provide professional and experienced Marble, Limestone, Travertine and Terrazzo stone floor cleaner, cleaning, polishing, sealing, restoration and maintenance services across Surrey, East Sussex, West Sussex, Hampshire and Kent. Our professional floor cleaner will deep clean tiles and grout lines, diamond grind, diamond hone, diamond polish, powder polish and seal all types of Marble, Limestone, Travertine and Terrazzo stone floors. 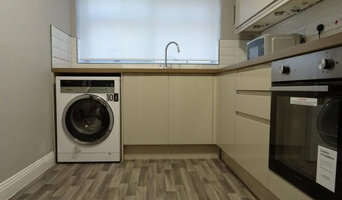 The Horsham Tasker provides handyman, furniture and flat pack assembly, wall mounting, painting, and other general task services at competitive rates. So why not create that list of tasks you need to be completed from hanging curtain rails to fitting shelves and assembling that bed you just bought by booking The Horsham Tasker today. Grumitt Wade Chartered Surveyors & Architectural Consultants are regulated by RICS and provide wide ranging surveying, consultancy and architectural services across Sussex. BSE FM is a mechanical and electrical contractor operating throughout London and the South East of England. Working within the commercial office, education, health, leisure, industrial, high end residential and heritage sectors our operatives are highly skilled and fully aligned with our principles of hard work, meeting expectations and delivering customer satisfaction. We are a specialist hard surface repair company based in Brighton that carry out a wide range of repairs across Sussex,Surrey and Kent. I have over 16 years of experience within the (Magicman) repair industry and pride myself on delivering quality long lasting repairs at a much more competitive price! We are a fully accredited Safe Contractor and Construction Line company with CSCS,PASMA and IPAF qualifications. 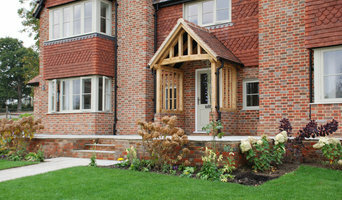 Carpenters & General Builders to Surrey & Sussex. The company began its life as a construction/carpentry business but has morphed to include project management and a host of construction skills. Today R&M Carpentry is a General Building services company specialising in residential extensions, barn conversions, roof repairs and more. A genuinely specialist orthodontic practice here in Hove, Brighton and Kent with the skills to transform appearance and boost self-confidence. We speacialize in new surgeries using modern braces and technology like Invisalign. We have early morning and evening appointment times available. Hi I’m Chris Brookes, I have a vast amount of experience jetwashing in and around Brighton. My company is based on the belief that our customers’ needs are of the utmost importance. I’m committed to meeting those needs. As a result, a high percentage of our business is from repeat customers and referrals. I take immense pride in the work we do, and as such I’m more than happy to show prospective clients my extensive portfolio, and encourage them to speak to our many satisfied customers. When should I hire Brighton, East Sussex specialist contractors? 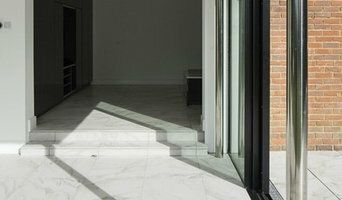 Specialist building contractors do as the name suggests and specialise in a particular field or product. Perhaps you have been searching for someone to carry out a very specific job for you, such as create a one-of-a-kind ceiling mural or to work some magic with an old bath, or maybe you need repairs to a piece of specialist furniture or a system that’s been installed in your home? If so then the right speciality contractor in Brighton, East Sussex will be the man or woman for the job. More technical home renovation professionals may fall under this category, too. 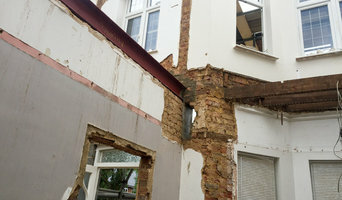 If you are building a property from scratch or planning a large extension then you may need to hire Brighton, East Sussex surveyors to carry out building and quantity surveying work – this involves assessing the build site and advising on costs, contracts, procurement and risk, amongst many other areas, and essentially project managing a large part of the build. If you have a thatched house, you’ll need to have the roof re-thatched from time to time and to regularly maintain the thatching to keep it safe and presentable. For this, you’ll need special Brighton, East Sussex roof thatchers who will know the type of thatch you have and how to replace and maintain it properly. Whatever you need Brighton, East Sussex specialist contractors for, be sure to check the profiles of specialist building contractors and other professionals on Houzz to see if you can find details of a contractor near you that can offer the service you’re looking for. Here are some related professionals and vendors to complement the work of specialist contractors: Main Contractors, Landscape Contractors, Architects & Building Designers, Interior Designers, Kitchen & Bathroom Designers. Find specialist contractors on Houzz. Look in the Professionals section of our website under Brighton, East Sussex specialist contractors, then select your area for a local contractor. You can also look through Brighton photos of completed projects to see how specialist building contractors might approach design challenges.